Fine motor control is all about the movements of the small muscles in the fingers, hands and arms. Hand-eye co-ordination also plays a big role in fine motor control, and together these skills are super important when it comes to things like writing and self help tasks. Long term, fine motor skills are related to literacy and numeracy learning and to lots of other life skills, so if your child struggles with fine motor tasks it can be worrying. That was the case for one of our kids. At four, her pencil grasp was all backwards and upside down and she was super frustrated when it came to manipulating small items and making her fingers work the wanted them to. 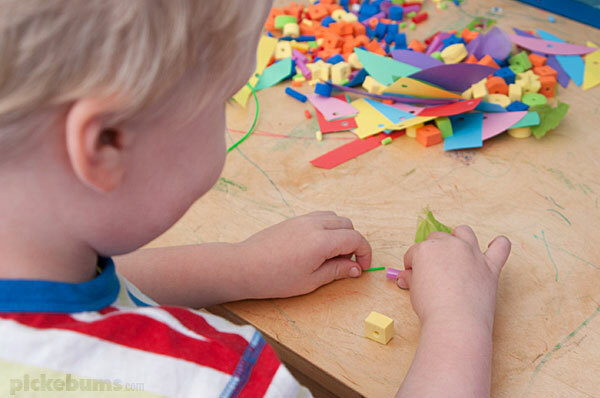 Often these fine motor frustrations sort themselves out if you give your child lots of playful opportunities to practice these skills, and thankfully there are lots of easy activities to practice fine motor control. These activities are perfect for kids aged 3-5 years, but many of them can be modified to work with older kids too. There are lots of links to more information and some affiliate links too so you can see some of the toys and equipment I’m talking about. 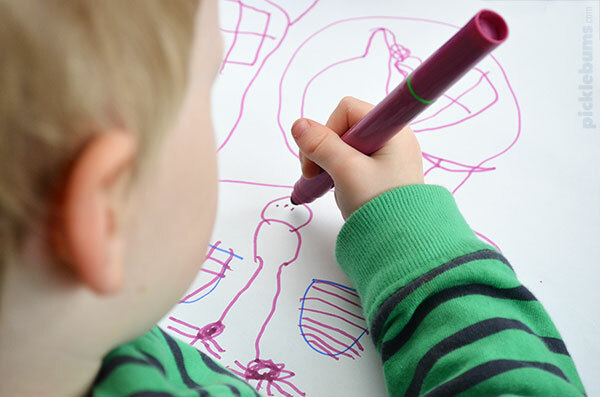 Drawing is probably the first thing that comes to mind when you think of fine motor activities. It’s easy, low mess, and there are lots of fun drawing activities you can try. Try using fatter pencils and markers for smaller hands or those having trouble. Triangular shaped pencils/markers can also help refine a wonky pencil grasp. And don’t just draw on boring old paper – pick something from our list of 40+ drawing ideas and activities. 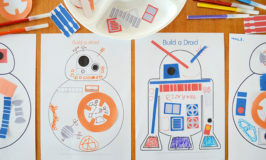 If your child ‘hates drawing’ maybe one of these ideas to encourage a reluctant drawers will help, or just move on to some other fine motor activities for now. Simply playing with dough of any kind – rolling balls, making snakes, squeezing and pinching the dough – is great for developing small muscle strength and control. 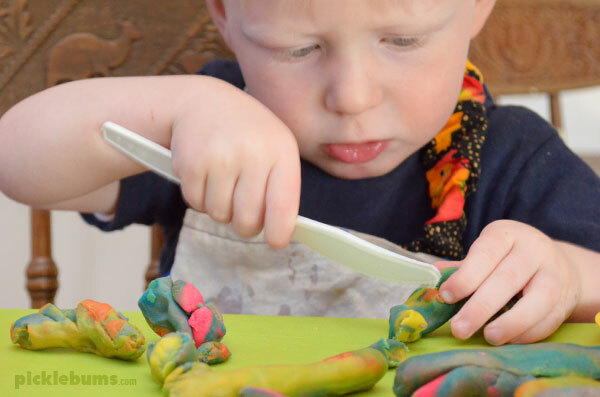 Extend it even further by offering scissors to cut dough snakes, plastic knives, a garlic extruder, or a pencil to draw or write in rolled out dough. 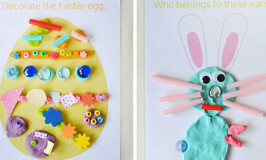 Entice a reluctant child with one of our fun printable play dough mats or one of our other fun playdough activities or printables. Threading activities are easy to set up, loads of fun, and really give those fine motor skills a work out. In the beginning offer large items with big holes to thread onto pipe cleaners. As your child gets more skilled offer a variety of different items to thread. Try some of these awesome threading ideas. 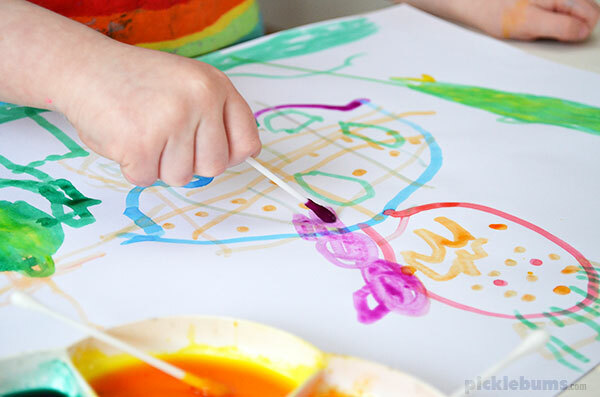 Painting requires the use of the arm and wrist as well as the hand and fingers so it’s great for working all those fine motor muscles and practicing co-ordination. Offer your child a variety of brushes and painting utensils in all different sizes. Cotton buds (q tips) are a great alternative to a paint brush, especially for small muscle skills. Working on a vertical surface is also very beneficial for loads of reasons, if you don’t have an easel you could try making your own window easel. 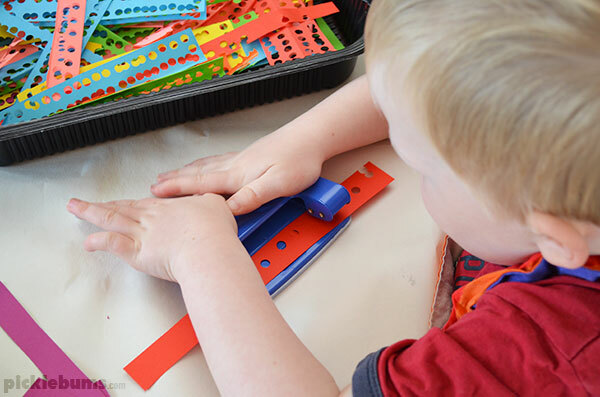 Using a hole punch is a super simple activity, it’s great for hand strength and co-ordination, and kids love it! You can use a good old regular hole punch, or try some of the fancy ones that punch out shapes. Once you are done punching out all those holes you can use them to make some confetti collage. Plastic eye droppers or pipettes are cheap to buy and loads of fun to play with. We have a bunch that are similar to these plastic pipettes (affiliate link) They are great for practicing control of that fine pincer grasp which is a skill used for writing. You can use them for art activities like this simple dropper painting or these fun water drop prints, or this magical wet on wet painting. Or set up an eye dropper activity tray, or a scented potions tray. ‘Loose parts play’ is simply exploring, creating and engaging with a variety of open ended objects in any way the child wants to. Kids use these objects in all kinds of ways, there is no right or wrong way to play with loose parts, so kids are free to explore, experiment and play however they like. 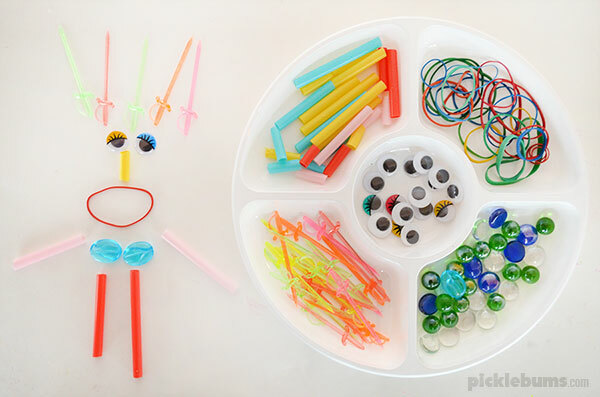 A collection of little objects is great for loose parts play that targets fine motor skills. Find a big list of items you can use for loose parts play here, and perhap you could try making crazy faces with your loose parts, or using our printable patterns, or grids. 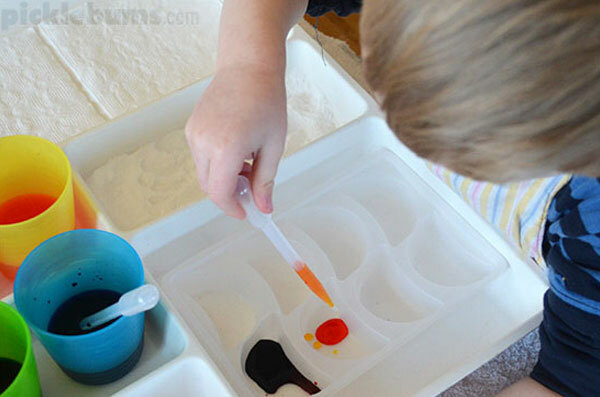 Scoops (save them from your laundry powder), tweezers, and tongs are all great tool for working on fine motor skills. 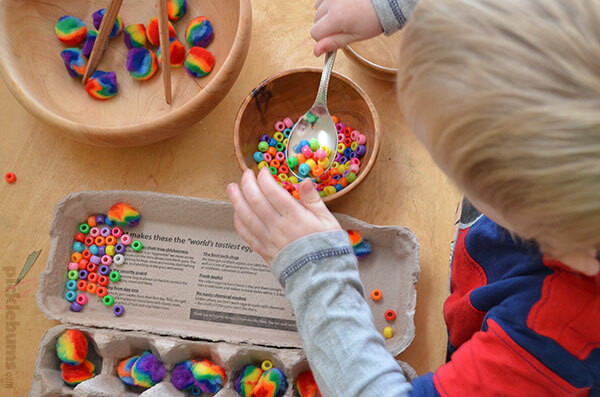 Use them with a simple water play set up, or a tub of bubbles, or a tub of beans, seeds, or chick peas, or set up a simple sorting activity with pom poms, beads and an egg carton. From basic wooden blocks to Legos, construction sets are a great way to develop fine motor skills and co-ordination. 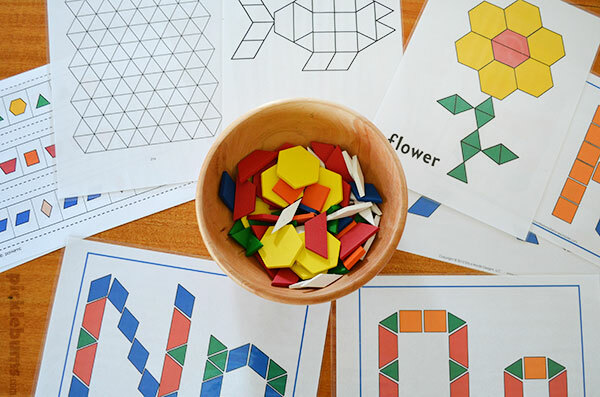 For younger children look for sets with larger pieces that fit together easily. A few constructions my kids loved when they were little are; Duplo, Interstar sets (affiliate link) or magnetic construction sets like Magformers (affiliate link) are good for little hands. As kids get older challenge they’ll still love those construction sets, but you can challenge them even further with smaller pieces and different ways of fitting them together. 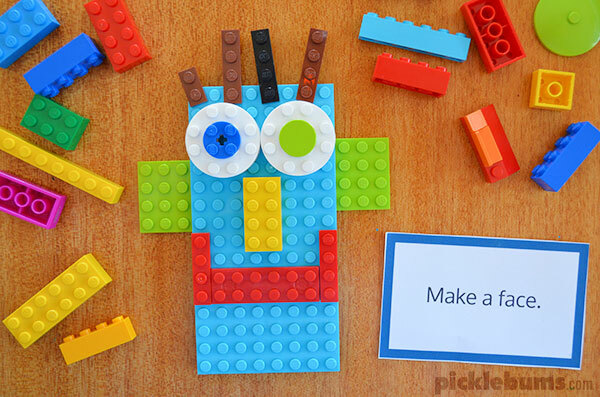 A couple of great ideas for older kids are Lego, Zoobs, and Keva planks (affiliate links). If you need some ideas try our printable building challenge cards to get the kids motivated. Below are some affiliate options for buying fine motor toys on Amazon. These are the same (or similar) toys that my kids have used and loved over the years. If you buy through one of these links I get a small commission at no extra cost to you. 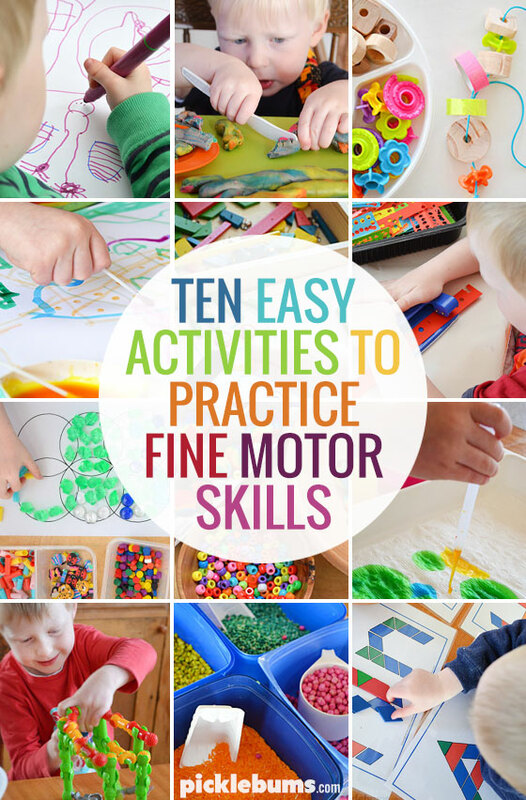 Do you have a child who struggles with fine motor skills? Encouraging and practicing fine motor skills doesn’t have to be difficult. Just being aware and looking for ways to incorporate fine motor play into the things your child already enjoys is one of the best ways you can help your child practice these skills. And do give your child time for these skills to develop. Sometimes what starts off as a struggle is easily overcome with a little time and lots of play. This is a fabulous post Kate! We actually did painting with cotton buds yesterday (will probably not hit the blog til next week though…) Love the idea of using large tweezers. We’ll have to give that a go! We also used to cover our table with plastic and let the kids finger paint in shaving cream. You can also pre punch holes in the foam trays from meat and let the kids ‘sew’ around their edges using big needles and wool for thread.